Oh gosh. Mid July already? DIPs: Work progresses on the book. I’m glumly amazed to discover that, while some designs seem to come incredibly easily, others, which I thought would be simple, are so…not. Nonetheless, of the myriad of patterns, 4 samples are completely knit, 3 are nearly finished, another is partially done, and my sample knitters are rarin’ to go on several more. I’m waiting on bead samples to swatch the motifs for the pullover. Sock Summit: Find me either at the Cooperative Press booth, the FickleKnitter booth, or wandering about. I can’t wait!!! I didn’t make the first Sock Summit and am thrilled to be going to this one. 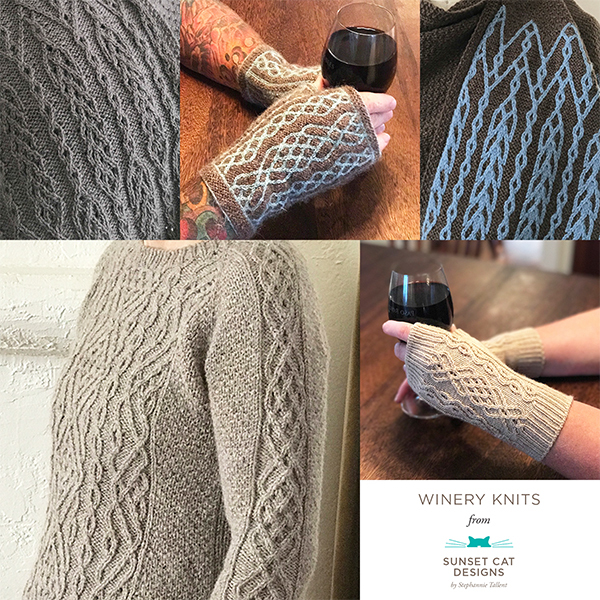 Reviews: Look for upcoming reviews on Anna Dalvi’s new book, Shaping Shawls, Ann Kingstone’s Novel Knits, and an iPad app, Yarn U. Other blog stuff: I’ve been interviewed! Find interviews of me at Worsted Knitt & How to Become a Professional Knitter. Techie toys: If you noticed the iPad app review mention…yep, I got an iPad a couple weeks ago. I made great use of it while visiting Ranch Dog Knitting and Yarns at the Adobe. I love it. It’s smaller and lighter than the paper & binder portfolio I’d been lugging around (plus, I don’t have to keep printing out patterns for it). Garden: Tomatoes! not a lot, but our volunteer Cherokee Purple tomatoes are now producing. This particular variety, for whatever reason, does quite well for us, producing very flavorful small tomatoes. 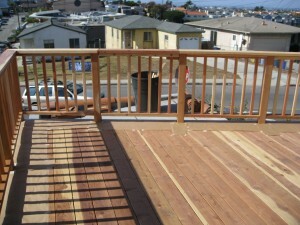 On a tangent…we’ve had our deck rebuilt. It’s nearly finished (will be stained today), and part of the reconfigured design included an unobtrusive gate to the garage roof. No more vaulting (well, clambering) over it to reach the herbs and rooftop veggies!